Makers of drinks should not mind if their customers put down more alcohol. Surprisingly, Sobhan Roy, Director General of All India Brewers' Association, does. He thinks Indians imbibe too much of hard drinks - distilled products to use the correct technical term. As a result, they are not drinking enough beer, which is mostly water with a touch of alcohol. That, in his view, is because it is taxed too heavily. 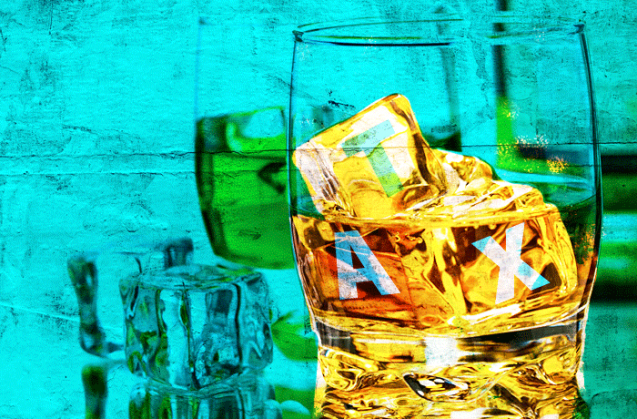 Just how it is taxed is impossible to say, for liquor excise policies vary from state to state and are most obscure. Roy would like the excise to be based on alcohol content of the drink. That would serve the interest of the beer industry, which would pay relatively lower excise. Still, his is an argument that should be taken seriously. In seriously alcoholic countries of the west and north, people drink convivially. They get together, chat and joke, and absorb drinks to lubricate social discourse. They get together in bars and restaurants, which are highly dependent on the drinks consumed. And to diversify drinkers' delights, the alcohol industry has developed an enormous range of products suitable for various tastes and types of discourse. Although Indians imitate the western social norms, most of those who drink get together to drink seriously and single-mindedly, and many drink more than is good for them. These practices also affect occasions and milieux of drinking; whereas the west has many places where people can meet friends and drink together, Indians do it more at home, behind closed doors. This might change if beer - and wine - are taxed less heavily; but some other things would also have to change - for example, licensing policy for bars and restaurants. A much larger proportion of the population drinks in the west; drinking forms a part of many social rituals, and is indulged in in a greater variety of places. In India, a large proportion of the middle class abhors or fears drinking, and wants it to be sequestrated from normal social life. Temperance was not just a Gandhian eccentricity; there were many in the Indian society who believed in it, and looked upon alcohol as a vice. The prejudice may be less pronounced today, but it has not disappeared. This widespread prejudice combined with governments' love of tax revenue, and led to extremely high excise rates. Taxation of drinks goes back to the early days of British rule, when it extended only to fragments of India known as presidencies of Bombay and Madras and the United Provinces. Each had a separate government, set its own tax rates, and had its own excise machinery to collect it. That fragmented administration continues to this day. As far as alcohol duties are concerned, India is like 29 distinct countries; each has its own rules and restrictions and enforces them by means of a labour-intensive and corrupt administration of its own. This was true of other taxes as well, but is on the way to changing with the introduction of goods and services tax. It has taken a long time; though scheduled for next April, it may miss the date again. It will lead to a uniform indirect tax across the country, and will make controls on interstate movement of goods redundant. But this national integration is not planned to extend to alcoholic drinks; they will induce the states to retain their creaking excise machinery and police the movement of drinks. That would be inefficient, and would continue to feed corruption; it must be removed. And the means of doing so are already in the making; all that is required is that the GST should be extended to alcoholic drinks. If that is done, the basis of taxation cannot be alcohol content; like with the rest of products, it has to be the price. A value added tax would have the same consequence as Roy's tax would: it would be heavier on hard drinks. But that would not be its only basis; it would also be higher on drinks that people value more, for whatever reason. Hence alcohol-based taxation is best put behind us, and replaced by a uniform value added tax across the country. The states will probably not agree to the common GST rate being applied to drinks, for that would lead to enormous loss of revenue. So the excise duty on drinks would have to be higher. Let the states get together and fix it at a certain multiple - say, twice or thrice - the standard GST rate. What is important is that they should cease to make an exception of alcoholic drinks. The present government has been keen on devolution of functions to the states; but this is one function that should not be left to them. 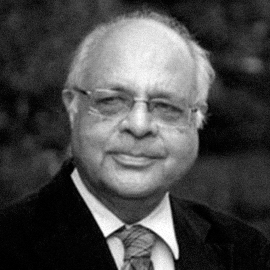 A senior economist and commentator on economic policy and a pioneer of economic liberalisation in India, Desai was also Chief Economic Adviser to the government. Known for his iconoclastic, bold and original views on the economy, he has taught, conducted research, and coordinated large research projects both in India and abroad.